Our usual Shoreditch home of The Book Club is busy for our regular 3rd Wednesday of the month slot, but have no fear! Their equally excellent (and very close by) sister venue, Queen of Hoxton will be hosting us in February! We'll be downstairs in the club (in the club, in the club) and looking forward to using all the venue has to offer, including a stage for finals! SUPER BOMBERMAN 2 - the plucky pyromaniac returns for a Super Nintendo multiplayer tournament. Unleash some old-school bombastic action with this classic title. Gang Beasts - Boneloaf's blobby beat em up has become a firm favourite, with hilarious matches as you try and drag and drop your opponents from buildings, into firepits and off moving vehicles. Nidhogg - en garde for this fast-moving fencing fighter from Messhof, llc., that's simple to pick up but fiendishly addictive, with gasps and guffaws guaranteed. Expect further retro classics and multiplayer indie favourites on freeplay on the night! We'll be running tournaments for our headline titles, with prizes for the champs too, so join us! Plus music from DJ Jet Set Rory! 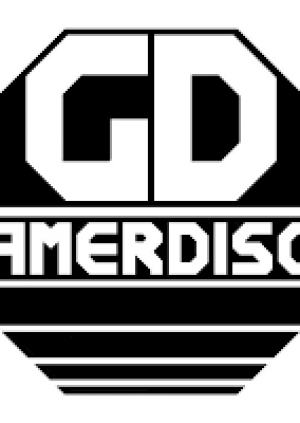 Gamerdisco's resident DJ will be providing the perfect tunes to play along to with his special mix of chiptune, video game themes and remixes, electronic, beats, and more. Event starts 7.30pm - FIND US IN THE BASEMENT!